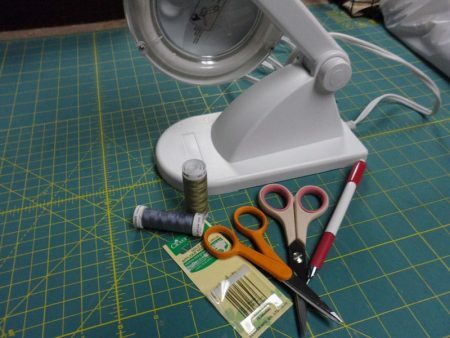 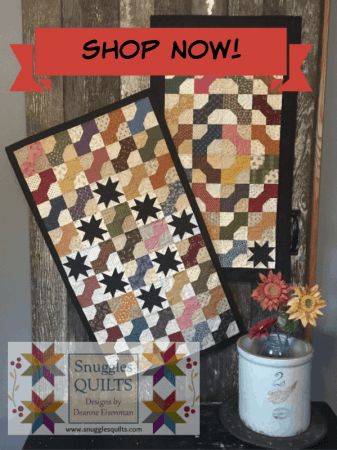 Fun seasonal pattern that combines piecing and wool appliqué. 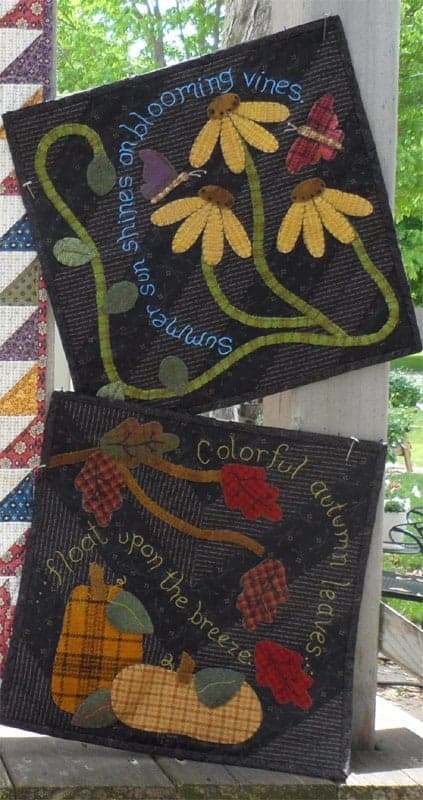 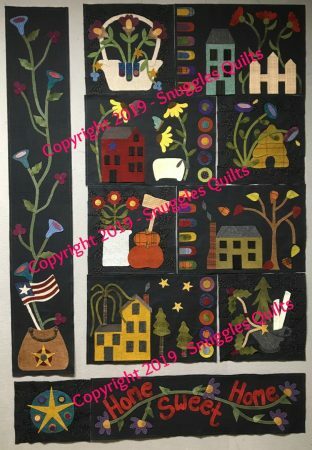 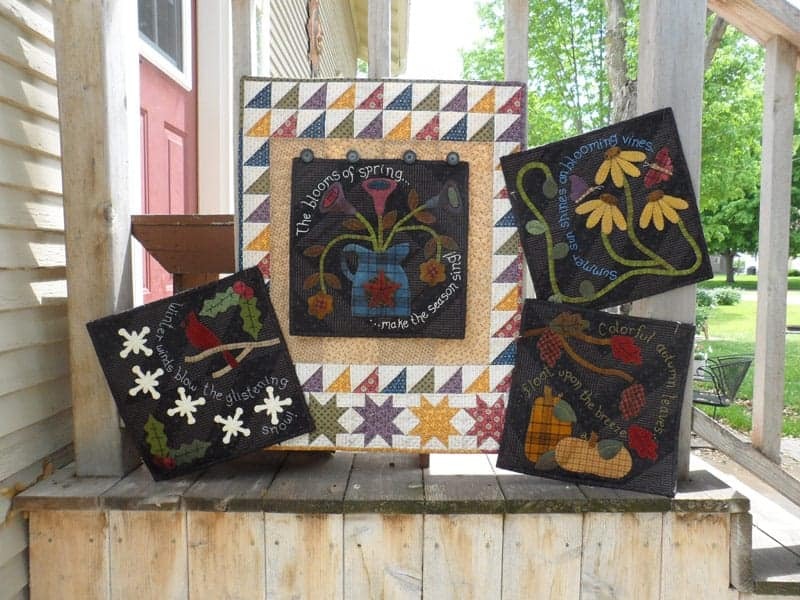 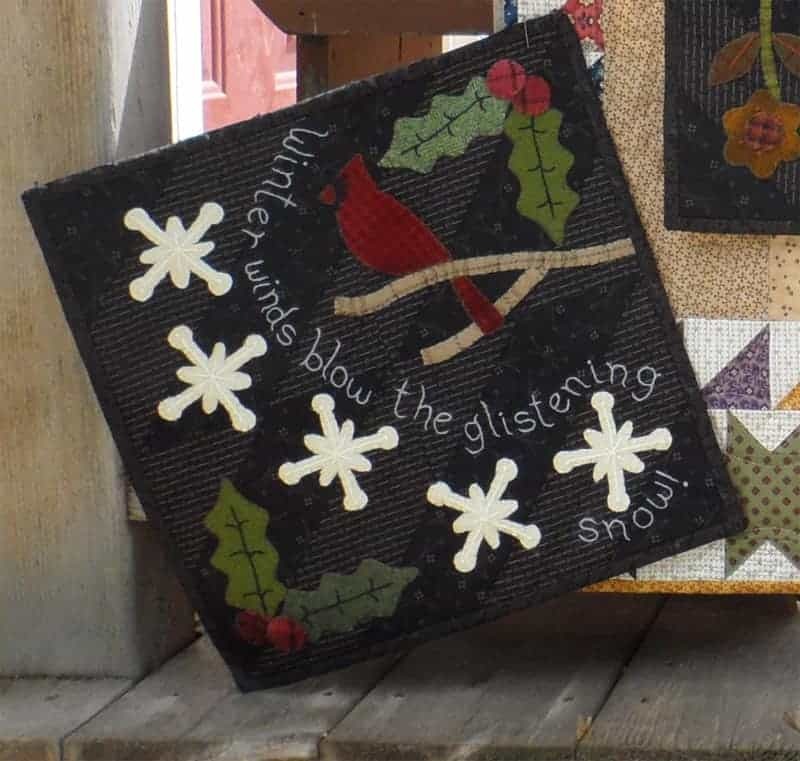 This pattern includes instructions for the 20 x 26″ piece wall hanging base and the four interchangeable seasonal panels. 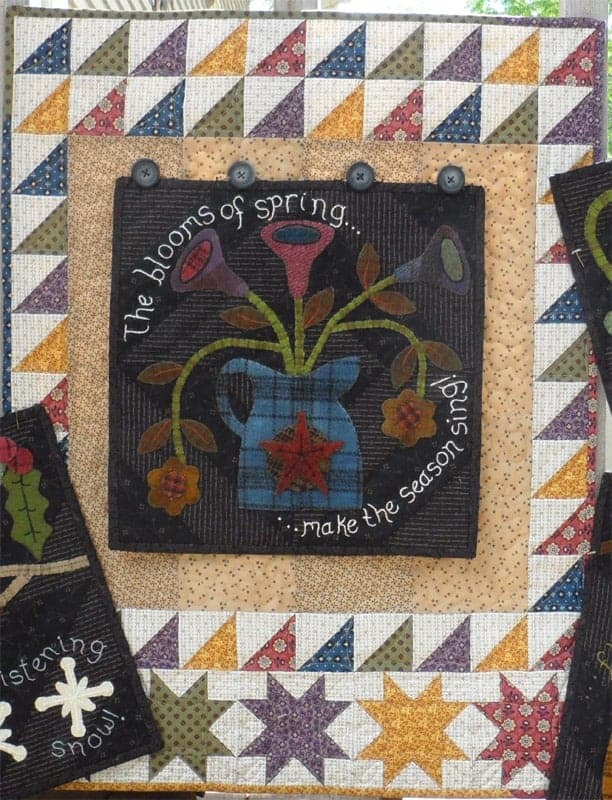 A “delight” to display in your home all year round!